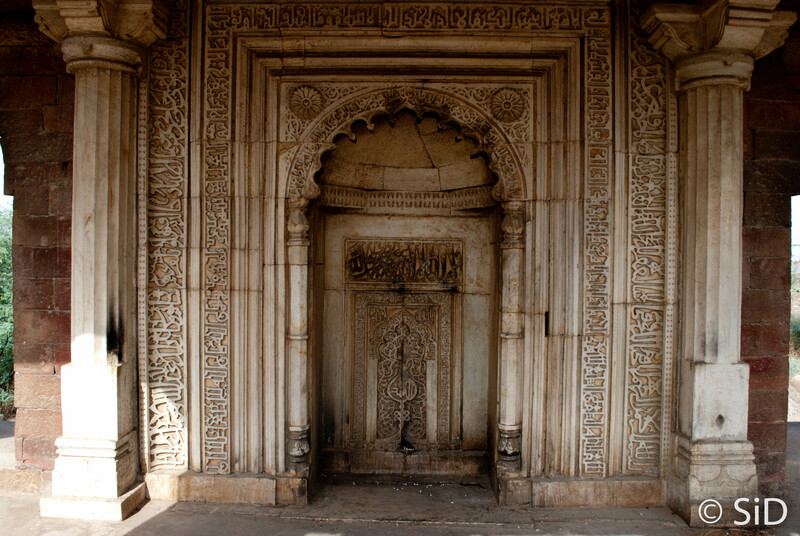 It is the first Islamic tomb of India. But green manicured gardens don’t surround it, there are no history boards displaying information about it at front of the gate and there is no army of people with cameras clicking here. It is hidden away in the jungles of Vasant Kunj area and I had to make 3 rounds to find the turn from the main road which took me – on a kucha road – to this non-descript location. A person sitting at the entrance of the tomb turned me away when I told him that I intended to take photographs inside. But as I was taking some photos from outside, he called me back and asked if I worked for any newspaper. On confirming that I did not, the permission was granted to go inside. It is a place of worship and one has to remove his/her shoes before entering the compound where a not-so-famous prince of the Slave dynasty rests. He is Nasir-ud-Din-Mahmud – brother of the famous Razia Sultan. Had he not died an untimely death, Razia Sultan would have never got a chance to sit on the throne. Nasir-ud-din was was the eldest son of Iltumish. He was all set to occupy the thrown, having proved himself by occupying large parts of eastern India. But it was not to be and he died in 1228. 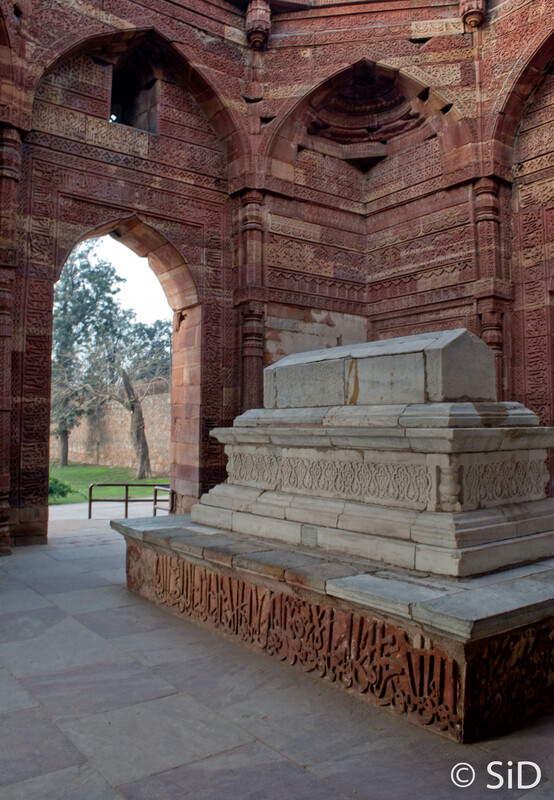 His father built him a lavish tomb – the first one in India. It is a unique tomb and from outside looks more like a fort. On the inside it has an octagonal structure representing the buried prince. The lavishness is all long gone and in any case it does not compare with the mausoleums built later (Taj Mahal!!!). But it is unique being the first one. Just hope it gets a little more attention. Ghiyas-ud-din. The name doesn’t suit a king. Does it? The first thing that comes to my mind whenever I hear Ghiyas-ud-din is a person jisko life mein bahut Ghisna pada. May be a lowly servant in a king’s palace. 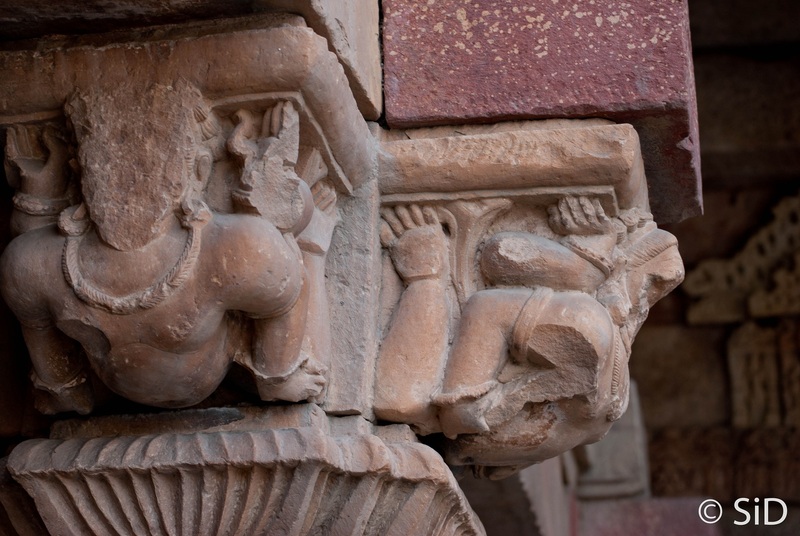 Though there have been 3 kings of Delhi named Ghiyas-ud-din, but Ghiyas-id-din Balban was indeed a servant – a slave. But he was also a king – the last king of the Slave dynasty. (Literally speaking his grandson who became the king after his death but he ruled for a mere 3 years before the start of Khilji dynasty). Balban was captured by Mongols as a child and later on ‘bought’ by Iltumish (Razia Sultan’s father and a popular king of slave dynasty). Balban rose in power and became one of the nobles in the court and after much Ghisayi became the king at the age of 60. 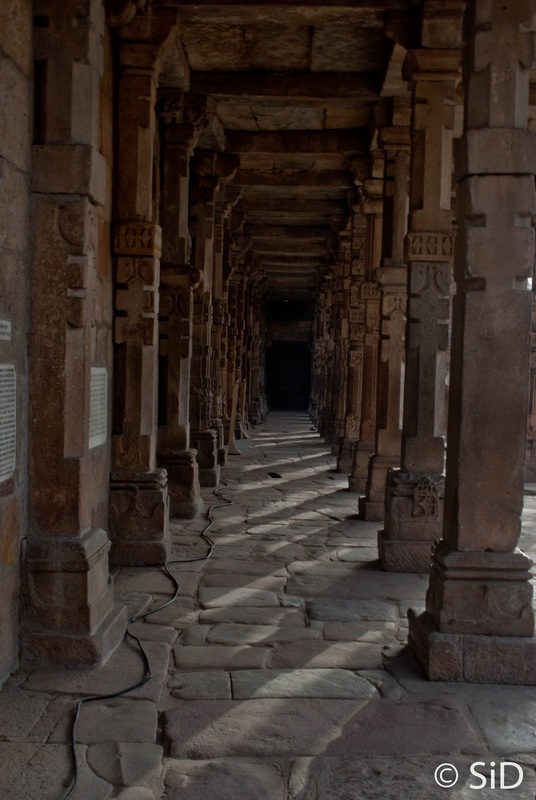 The place, which may have been Balban’s palace is also known for it being the first instance of a true arch in Indian architecture. Before that Corbeled Arches or Trabeated arches were used. I did not know what a true arch means before this visit and it is quite interesting to find out the differences. 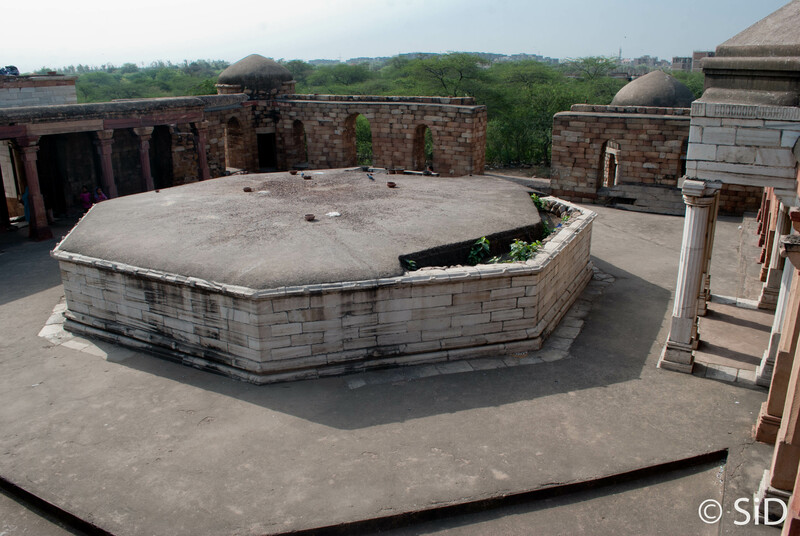 Balban’s tomb is also known for the site of the first dome in India. The dome no longer exists but the pillars on which it stood are visible and you can imagine a huge round structure on top of it. Also, some ruins of a city have been unearthed near the place which show homes, markets etc – although in complete ruins. Except for that 72 meter tall structure, everything here is in tatters. 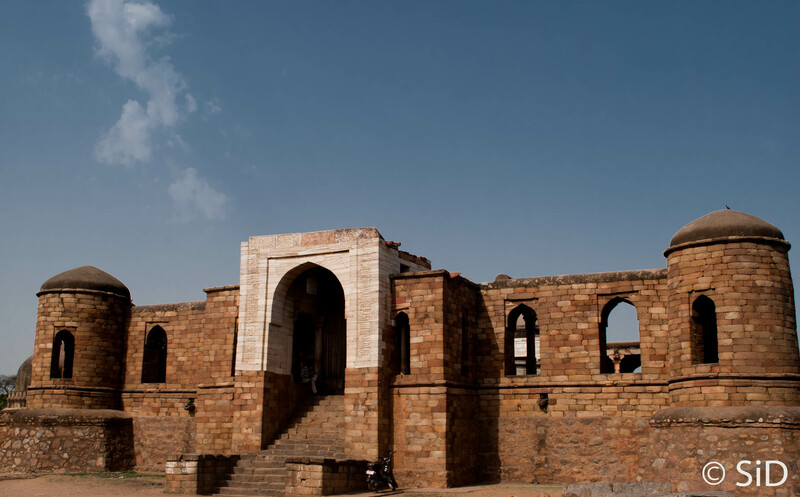 Years have caught up with the tombs, Sarai (rest house), madarassa (school) in the compound. But the best part amongst these ruins is that hundreds of visitors there were not ruining the place by littering it with empty water bottles and packets of chips or biscuits. The reason was more of a compulsion than voluntary. Bags – which are the carriers of the ‘litterable’ items were not allowed inside the compound. For a mere Rs 2, you could store your bags in the cloak room, of course at your own risk. As I went from one broken building to another, I also realized that why the tooti-footi, broken buildings in Europe – like the Colosseum in Rome are a great attraction. These aged, half broken, out of shape ruins are strangely attractive. I am still not able to pin point at the exact reason. The silhouette of an incomplete structure with lush green grass – nicely pruned in front provides a contrast of perfection and flaw. May be that was it. Or maybe the freedom to imagine what it would have been in its prime. What would the madarassa where children used to study look like. 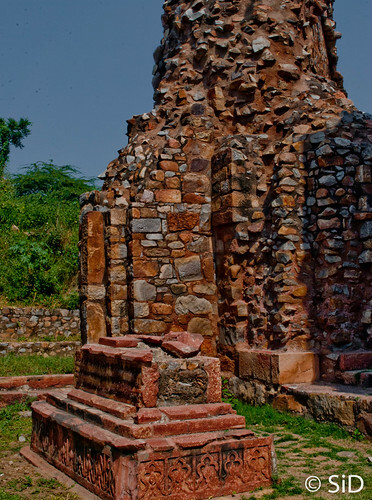 Or how would the place have looked had the Alai Minar been completed. 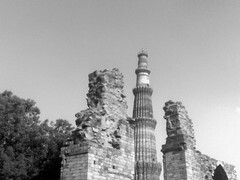 (Alai Minar was meant to be double the size of Qutab Minar but could not be completed). Outside, a man who looked like a senior cleric of a mosque nearby was painting a picture to my imagination of the glorious past. He was sitting outside on a chair laughing and talking to his mobile. All the while, two kids, aged around 10 stood on either side of him waving hand-fans at him assuaging him of the heat on a sunny May afternoon. 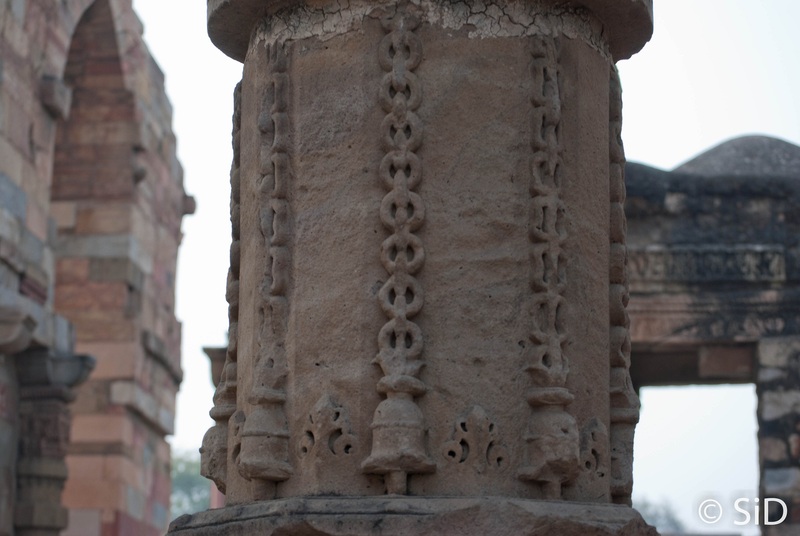 It would have been the same in the time of the kings who built the Minar. Except that I don’t think kids would have been at the job of being the Fan for the Raja.